17:08:2013 We arrive at Van Galen’s cheese farm in the early cold but the day’s temps are predicted to hit 20*C so it will be hot up high later in the day. Registration is a breeze with the fancy dress folk. At 8h00 we are on a bus to the start. We get a race briefing with Trevor’s typical humour. The photographer’s chopper arrives and we are counted down. The pace is surprisingly relaxed for the first few km of farm road. I settle into about 20th place and remain there for most of the race. Two women are just ahead and I watch that battle unfold on the first climb. The farm track turns to single track and gets ever steeper until it zig zags up to Hospital Nek. Apparently the place where the Boers used to transport the wounded to safety during the ….. Battles against ..:::: I notice that I am only OK on the hills and not my usual strong. Hmm I take note as some faster guys and girls pass me. After half an hour or so we crest onto the top of the cliff line and turn right along single track. Meandering up and down the “non steep” side of the ridge, we each run at our own pace. I am ok on the flats but the ups I lose ground. The views are spectacular both towards Brits and to our right into the valley. We ride the crest making many turns to hit the best viewpoints. At some point we very briefly join a jeep track but veer off right at a prominent tree. (don’t follow this jeep track as it will take you miles off course). We dip down to the right and I think our descent is here but no! We turn left again and climb. Finally the descent off the ridge arrives at about 15km and I make up some places. The switchback are tight and the running is fast. Amazing to think that Trevor and his team made this trail specifically for the event. Legend goes that soldiers in the Boer War needed to descend here but heard from locals that only baboons had found a way. The thinking was “if baboons can find a way so can horses, and I guess modern trail runners”. After our descent from the crest of the ridge we turned sharply for our second climb. We were warned about this and it did not disappoint. Finally the altitude, or lack of fitness, caught up with me and I stood gasping for air. A short traverse to the opposite side of the Kloof and we headed down the treacherous slope. Yes you can’t run this. It is more of a bundu bash at speed. I was hoping to make up some time on the flatter running section as any uphill brought me to a standstill. I fought on, digging deep to keep some kind of pace going. The Greek church and 7km to go. I kept th pace going. Possibly a bit too fast too early but I guess Coke is to blame for that. We hit the MTB trails which weave in and out of dry stream beds. Resembling more of a cross country course and a seals life (short sharp and brutish) the uphills proved too much for my legs. I lost form and was struggling along. I walked some marginal ups ( those kind of ups that are more flat than up) and tried to do the best I could. I was passed by some more folk and had nothing in response. I thought I would be passed by more. The tunnels of bamboo were awesome and are something unique. And yes the waterbridge needs a mention. It was far easier than I had anticipated. Finally I cross a field and the Crazy Store banners come into view. I manage a slow jog across the line. 4h of effort that I am very pleased with my 20th position. My head spins and I sit down in th shade and hit the warm Coke! Well done to Trevor, Erik and the whole crew for a fantastic event. 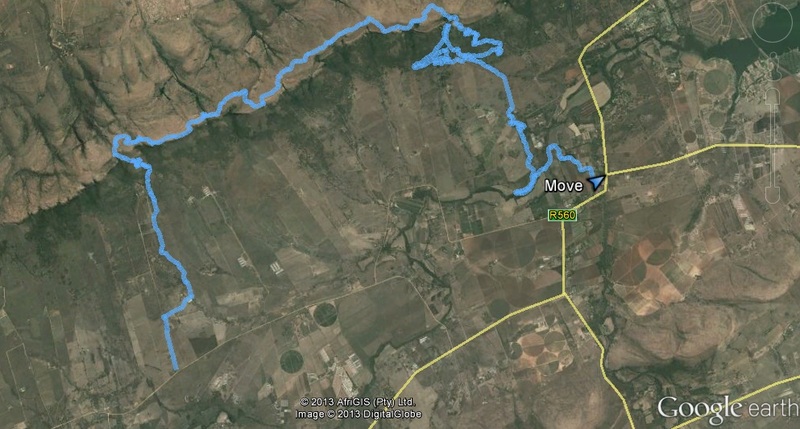 There is no seconding along the route and no water tables except for very sparce supplies 7km from the finish. Trail running pure. Plan to be totally self sufficient. The route takes the only two access routes up to the plateau in this area. The route is well marked without compromising on the very remote feel. The last few km test tired legs. This event is about as hard as you want it. Mentally it is a big step for many folk. Very worth while and higly recomended! I think that it is about 45min faster than the Crazy Store Table Mountain Challenge but equally worthy.